Jackel is the industry’s most trusted name for sump & sewage basins, fiberglass basins, check valves and accessories for superior environmental protection. Used for Jackel style check valve (Model AJA-DJ-545) or as union. 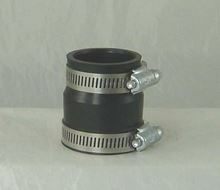 Used with Jackel style check valve (Model AJA-GP-2) or as union.